“Who can find a virtuous woman? for her price is far above rubies. The heart of her husband doth safely trust in her, so that he shall have no need of spoil. She will do him good and not evil all the days of her life. She seeketh wool, and flax, and worketh willingly with her hands. She is like the merchants’ ships; she bringeth her food from afar. She riseth also while it is yet night, and giveth meat to her household, and a portion to her maidens. She considereth a field, and buyeth it: with the fruit of her hands she planteth a vineyard. She girdeth her loins with strength, and strengtheneth her arms. She perceiveth that her merchandise is good: her candle goeth not out by night. She layeth her hands to the spindle, and her hands hold the distaff. She stretcheth out her hand to the poor; yea, she reacheth forth her hands to the needy. She is not afraid of the snow for her household: for all her household are clothed with scarlet. She maketh herself coverings of tapestry; her clothing is silk and purple. Bonnie R. Edwards was born in Cochran, GA. Following the early demise of her mother she moved to Pompano Beach, FL and was reared and nurtured by her grandmother Mossie Jackson. 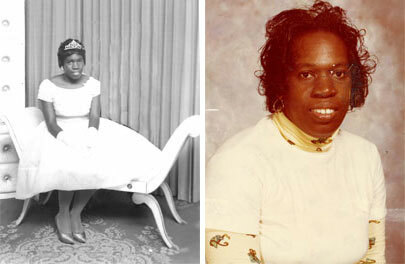 She graduated from Blanch Ely High School and later married her High School Sweetheart, Lonnie “Tune” Edwards. She retired from the Broward County School Board where she had been employed as a Facilities Service Person for 34 years. She was a faithful member of Immanuel Church of God In Christ, Fort Lauderdale, FL. Her memory shall forever be cherished by her beloved husband of 41 years, Lonnie Edwards, and three loving and devoted sons, Vincent T. Edwards (April) of Tallahassee, FL, Marc C. Edwards of Fort Lauderdale, FL, and Lionel S. Edwards of Chicago, IL, Two brothers, Bobby Cross, Clyde Cross, Two sisters, Loretta James, Joyce Jones, a loving and Godly Grandmother, Mossie Jackson, Six Grandchildren, Marcoeven Edwards, D’Arte Edwards, Yemani Edwards, Kianna Edwards, Isaiah A. Edwards, Marc Edwards, Jr., Three Godchildren, Larry Adams, Jr., Keandrea Bonner, and a host of sorrowing aunts, uncles, cousins, in-laws, and friends.